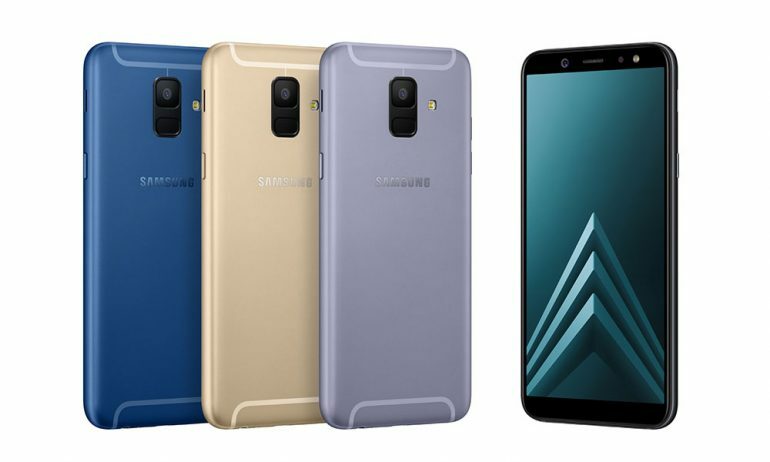 The Samsung Galaxy A6 and A6+ have been officially announced. Both phones feature trickle down technology from more premium phones like the Infinity Display, Live Focus and Bixby on board. 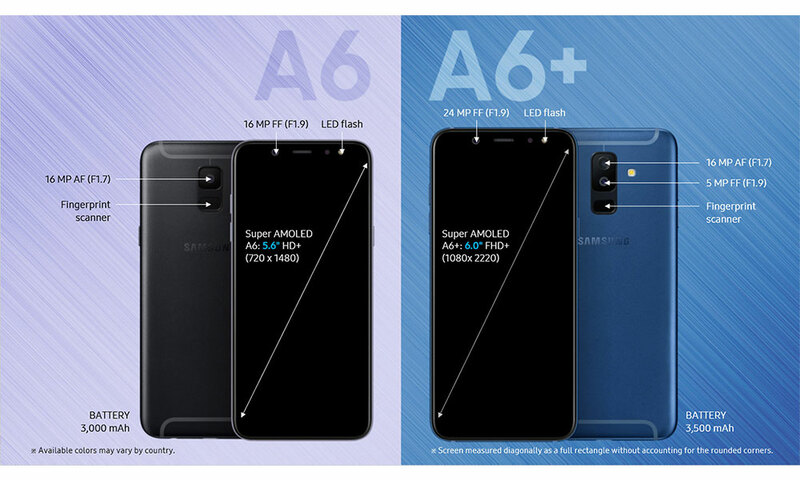 The Galaxy A6 will ship with a 5.6-inch 720 x 1480 pixel HD+ Super AMOLED display, a single 16MP f/1.7 rear camera, 16MP selfie shooter with flash, an octa-core processor, 3GB of RAM and 32GB of internal storage. Everything will be powered by a 3000mAh battery. Meanwhile, the Galaxy A6+ features a larger 6-inch 1080 x 2220 pixel FHD+ Super AMOLED display, dual cameras on the rear (16MP f/1.7 + 5MP f/1.9), a 24MP selfie shooter with flash, microSD support up to 400GB, an unspecified octa-core processor, 4GB of RAM and 32GB of onboard storage. A larger 3,500mAH battery powers this model. It appears that these two use NFC for Samsung and not the MFT available on the flagship Samsung devices. Which means that they require dedicated electronic payment terminals and can’t interact with traditional magnetic strip credit card readers. This is not necessarily a drawback, but perhaps related to the mid-range nature of the phones. The phone will be available in four colours: Black, Gold, Blue and Lavender. We can expect the phone to join the Galaxy A8 (2018) and Galaxy A5 (2017) already on sale here in Malaysia soon.